I want the Yankees to sign Dallas Keuchel. I know no one else does... but I do. I do find it fascinating that no team has picked this guy up yet. I know, many of you believe this guy is done and just doesn't have it anymore. Sure, he may have bad numbers recently, but Dallas Keuchel is not a liability. Personally I feel like coming to the Yankees would work wonders for this guy... even if it's a 2 year deal. But here's the problem. Keuchel wants a long term deal. That's what he wants. If he didn't, he would have signed already. But let's be honest, we're in the midst of Spring Training. Hell... we're playing exhibition games already. He's still sitting at home. What gives? 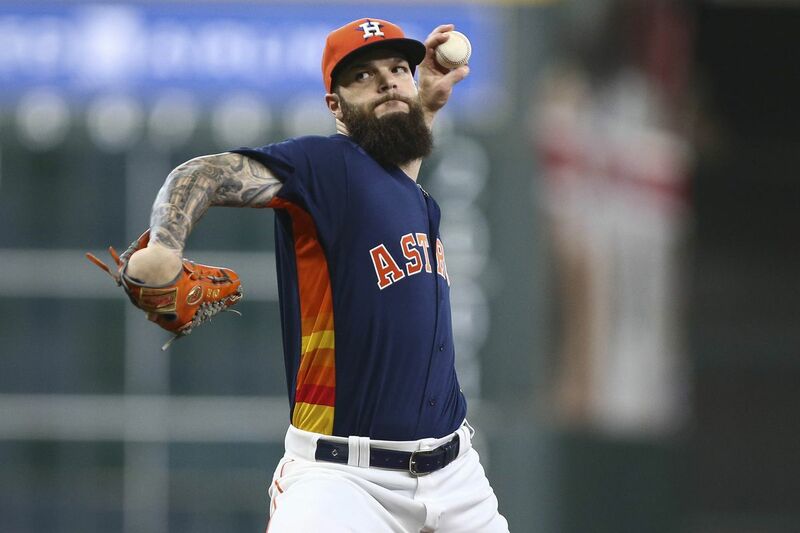 Meanwhile, the Minneapolis Star Tribune reports that the Twins aren’t likely to sign Keuchel unless he’s suddenly willing to accept a one-year deal three weeks into Spring Training. Two starters for the Atlanta Braves suddenly suffering spring injuries aren’t enough motivation to warrant a Keuchel probe, according to MLB.com’s Mark Bowman."